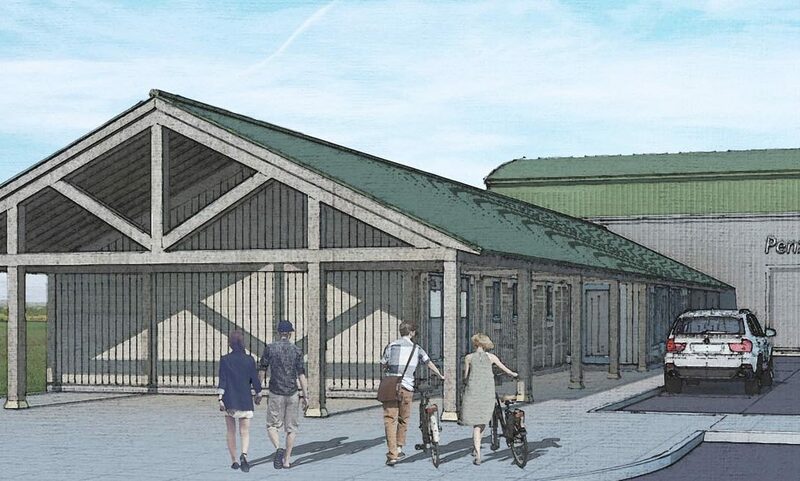 Plans for a replacement Penzance Heliport to serve the Isles of Scilly have been recommended for approval by Cornwall Council planning officers. The Planning Report recommends Councillors grant permission for the heliport, citing the “significant social and economic benefit to the businesses, residents and visitors of the Scillies and wider economic benefits to West Cornwall.” The report will help inform Councillors’ decisions at the Strategic Planning Committee meeting on Thursday 2nd August 2018. The report refers to Penzance Heliport as “a significant year-round, permanent strategic link” and describes the benefits of an air link to both St Mary’s and Tresco that is likely to offer “significantly greater weather resilience”. Employment opportunities and “wider economic benefits from increased tourism” are also seen as key benefits to both Penzance and the Isles of Scilly. A spokesperson for Penzance Heliport said: “We are pleased that Officers have recommended approval for the project. The report carefully considers the potential impact of the project – both positive and negative – and concludes that the benefits outweigh any anticipated adverse impacts. The Penzance Heliport project was initially granted planning consent in February 2017 in a unanimous decision by Cornwall Council’s Strategic Planning Committee. This decision was later challenged by the Isles of Scilly Steamship Company in a Judicial Review. The new planning officers’ report states that the grounds for the legal challenge have now been addressed. The planning report follows a Public Meeting in Penzance at which the majority of speakers were in favour of the proposal, and an independent survey of permanent residents of the Isles of Scilly which showed 97% support for the project among islanders who voted. The support of local councillors and the Penzance Regeneration Partnership, which includes the local Cornwall Councillors and representatives from Penzance Town Council, Chamber of Commerce, Business Improvement District, Tourism Association and others. Addressing acoustic reports and medical studies submitted by some individuals and groups objecting to the proposal, the report states “no clear conclusions can be drawn from these documents that would justify a refusal of permission.” Officers conclude the reports submitted on behalf of Penzance Heliport remain “robust and comprehensive” and that there is “no justification” for a further noise report. To reduce the impact of the development on local residents, the report recommends a number of planning conditions controlling flight paths, operating hours, flight numbers and other elements of the heliport operation. At the request of Penzance Heliport, this also includes the setting up of a Local Stakeholders’ Group. Cornwall Council’s Strategic Planning Committee will take the report into account when deciding on the application at a planning meeting on Thursday 2nd August. The meeting will be webcast through the Cornwall Council website.